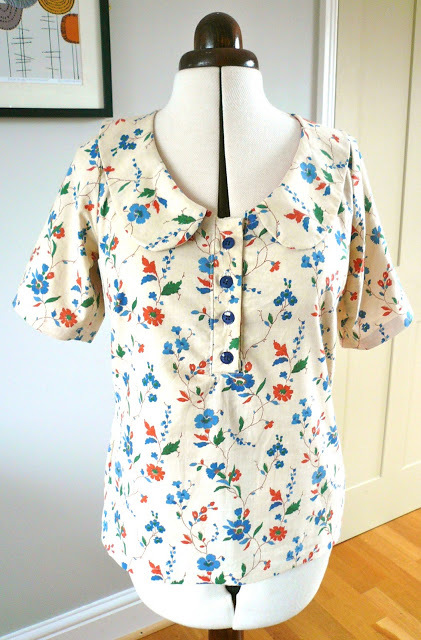 Thank you so much for your enthusiastic response to my last post, I was thrilled to see how many readers were interested in my handmade clothes. It's also really satisfying to know that all of my beloved items will be going to good homes, and won't have to end their days in a charity shop just yet. So, without further ado, here are the winners…. Hoorah, please email me your addresses ladies and I'll get them out to you in the next few days. In other news, I had the pleasure of helping my friend Diane on her road to sewing greatness this morning. She bought a sewing machine a year ago in a fit of enthusiasm, but has been too scared to use it. Spurred on by The Great British Sewing Bee and the desperate need to hem a pair of trousers, she brought her lovely, sparkly new machine round to my pad. Look - a straight line of sewing! Together, we managed to thread the machine and she then practised sewing in straight lines. After a few minutes, she was sewing like the wind, an absolute natural, all she'd needed was somebody to explain the basics. I love this pic - sheer joy at the sight of her own stitches! 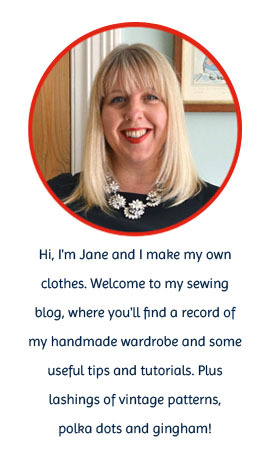 It is so wonderful to see the enjoyment so many are finding in the art of sewing :) And congratulations to everyone that will be receiving your lovely garments Jane :) m.
Great post, great action. It must be a great joy to initiate someone in doing something with her own hands. After all those years it is still a great feeling for me whenever I finish sewing a piece of garment, so I totally relate to her beautiful laughter. That's brilliant, Jane - spreading the love. On a much more important note - we have the same kettle! You've let yourself in for an eternity of pinning her into her sewing projects now! But so nice to pass on a bit of knowledge and skill. Yay for spreading the love! Well done Jane and good luck Diane! Wow I'd love to have a helper like you on tap too. Your friend looks so very happy with her sewing. There's nothing quite like the thrill of your first sewing project is there, even if there is only straight lines. Thank you so much for selecting me for the blouse. I'm so excited to see it. The only problem is that I cant email you becuase the email link brings me straight into outlook and I don't have mine set up. Would you mind replying to my comment by email and then I'll get your address from there. Sorry for being a pain in the behind. Yippeee I'm so very excited! Perfect. I'll be on the virtual blower to you soon then. SQUEEEE! How exciting! Thank you, will email you soon!